Bert Kaempfert | L.O.V.E. and STRANGERS IN THE NIGHT back in the charts. L.O.V.E. and STRANGERS IN THE NIGHT back in the charts. With her album “Turn Up The Quiet” Diana Krall has stormed into the international jazz charts. Now there are two further albums with compositions by Bert Kaempfert in the best-seller list: a new release by Gregory Porter and an album with Frank Sinatra classics. For the music world Nat “King” Cole is the greatest musician and singer ever to dominate both jazz and pop. But for the young Gregory Porter he was more than that: he was a father figure. 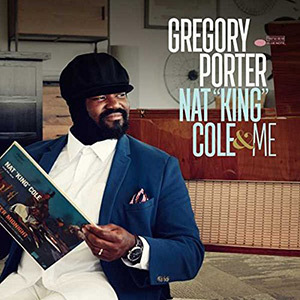 Porter has now thanked him with a musical tribute that really strikes a nerve: he sings Nat “King” Cole’s hits and finest songs with so much soul and feeling that you almost believe you are hearing these evergreens for the first time in your life. Just two weeks after its release the album has entered the charts, heading upwards. Already No. 1 on iTunes! 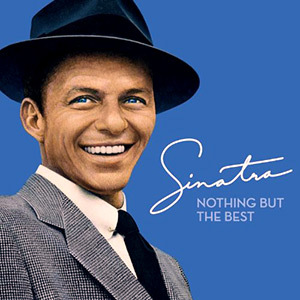 This Best-Of album was already released in 2008 on the occasion of the 10th anniversary of the death of “The Voice”, Frank Sinatra. The collection of 22 songs has been completely remastered using the original master tapes. The selection includes global hits such as MY WAY, THEME FROM NEW YORK, NEW YORK as well as the Kaempfert composition STRANGERS IN THE NIGHT, which is currently at No. 2 in the iTunes charts.